Like a tsunami silently gathering far out at sea, a revolution is coming to the movie business. It will make the changes experienced by the book and music industries in recent years look tiny by comparison. One technology will make this possible, one you might not expect: 3D game engines. In the last few years, the music and book industries experienced a radical shift in creation and distribution. Personal computers made it easy for any would be recording star to compose music and upload it to YouTube for the entire world to see. The Kindle made it easy for writers to bypass the publishing industry choke point and take their work right to the people. 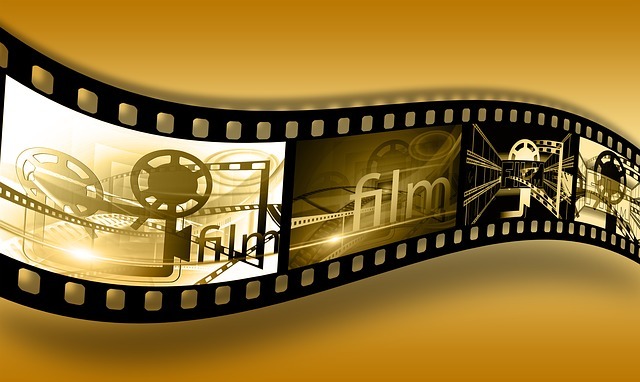 But even as these industries struggled to adapt to the sudden changes thrust on them by technology, the movie industry remained largely immune. While P2P threatened their distribution hegemony a bit, making movies still remains a prohibitively expensive and involved process. When it comes to special effects blockbusters like The Avengers and Avatar the minimum barrier to entry is at least 200 million dollars. Even animated films like Tangled can cost a whopping 260 million dollars without a single set, costume or location scout. In the near term, those costs are only rising, making even one film a massive financial risk that can instantly kill a studio if it bombs with audiences. John Carter anyone? Can you really blame the industry suits for having little to no imagination or appetite for risk? In the next decade, that will all change for good. Prices to make movies will drop drastically, breaking open the floodgates of creativity and allowing smaller teams to make movies on an epic scale. Movies like Avatar will go from costing 237 million to 30 or 40 million if a studio uses big name actors or even down to 10 to 20 if they use little known actors as the voices. All of this will happen as the game and film industries converge. To understand why you have to understand a little bit about the evolution of 3D gaming technology. If you’ve been gaming since the early 1990’s, then you’ve watched a steady evolution in gaming. Every five years or so gamers awaited the next leap in visual fidelity. Programmers like John Carmack changed the way we played. I still remember early games like Doom keeping me glued to my computer monitor. I knew I was addicted when my roommate and I were sitting in the hot girls room in our co-ed dorm at NYU and both of us were thinking “Doom, Doom, Doom,” after they’d babbled on for about ten minutes. Five-year iterations resulted in drastic new leaps in how games looked and played. Modern game engines like CryEngine2 and Rage are power games that blur the boundaries between reality and fantasy. But in the next decade we’ll reach the end of this cycle, as commodity hardware and engines advance to the point where they can render images in real time that are indistinguishable from reality. Today, using massive render farms of servers, movie studios can power through strikingly realistic graphics for films, but this is far from a real-time process. For cutting edge films a single frame can take hours or days to render. But the technology is developing exponentially. Only a decade ago, graphics artists struggled to create images that could fool people into thinking they were real. Movies like 2001’s Final Fantasy the Spirits Within, while representing a huge leap forward in realism, still fell headlong into the uncanny valley, causing revulsion in audiences. In other words, it came close enough to seem almost real, but not close enough to make people suspend disbelief and trust what they were seeing. In particular, rendering people realistically was nearly impossible. Hair, eyes and skin all looked artificial. In particular, the eyes, the windows to the soul, failed to convince people that what they were seeing was real. Eyes looked like dead fish on ice. But only 8 years later in 2009, Terminator Salvation turned back time and brought us a fully rendered young Arnold Schwarzenegger. The pace of development is accelerating. In the next decade game engines will reach the end of their evolution. Instead of dozens of new engines crafted in-house by advanced programming teams to power the latest video games, only a few game engines will remain. Once hardware and software reaches the point where it can render photo realistic images in real-time, everything changes. Now programming teams will license or use open source versions of those engines and craft visual programming tools on top of it. This will allow creative artists to utilize those tools to design any type of special effect rapidly and easily. Small clusters of computers will replace massive farms of exotically cooled machines. Advances in Artificial Intelligence will allow animators to set actors in motion without ever having to waste time with actual people or people in funny looking motion capture suits. Not long after that the technology will advance to the point where artists will only need a few local computers or time on the cloud to bring the movies in their mind into reality. All these developments will enable new kinds of films to come to market. It will create a flood of garbage, but it will also bring us brand new masterworks from unexpected places. Just as the changes in the book market have allowed for fiction that breaks out of strictly straightjacketed genre structures and arbitrarily imposed book lengths, movies will break out in similar ways. We’ll see small serialized films only a half hour long and epic four or five hour masterworks that need to be taken in shorter sessions on people’s home media walls. Novels that were too expensive to adapt to films will finally come to the silver screen. Smaller books that would never see the light of day will find a home with dedicated micro “studios” of people working in their spare time out of their houses. Open source visual artifacts will allow people to drag and drop whole scenes without every understanding all the creative wizardry behind the scenes. Dropping people into exotic locals will no longer require actually traveling to those places. George R.R. Martin, author of the Game of Thrones, once talked about why he wrote the series on such an incredibly epic scale. He said that when he worked for the film industry budget always came into play. He would write a massive battle sequence only to have creative execs ask him if he could scale down the finale fight to a tiny scene between the hero and the villain. Oh and can you make it a knife fight instead of a giant tank battle? Because he was a professional he would do it, but it left him wanting just as it left many audiences wanting. When he set out to write Game of Thrones he was determined to make it “unfilmable” by throwing in everything he ever wanted to see from sweeping battles to multiple points of view. Eventually the technology caught up with his vision. In the near future nothing will be unfilmable. I write my science fiction with all this in mind. Today science fiction films can only go so far. Aliens are usually nothing but people with a couple of extra ridges slapped on their brow because of budget and special effects limitations. Far away worlds are rain forests or deserts with a few space ships rendered in and some glow effects. I write for the day when we can create outrageous aliens that look nothing like us as easily as we can create movie car crashes today. I’m hungry for a movie industry that can render stunning other worlds that don’t look anything like the planet we live on. In other words, when we finally get to the point where we can render the world in real-time then the only limitations on our creativity will be what we imagine.